SHTF Five Minute Meal Beef Chili With Beans - Individual Meal, Heating Pouch And Activator, Made in USA - 1,065 Calories | BUDK.com - Knives & Swords At The Lowest Prices! 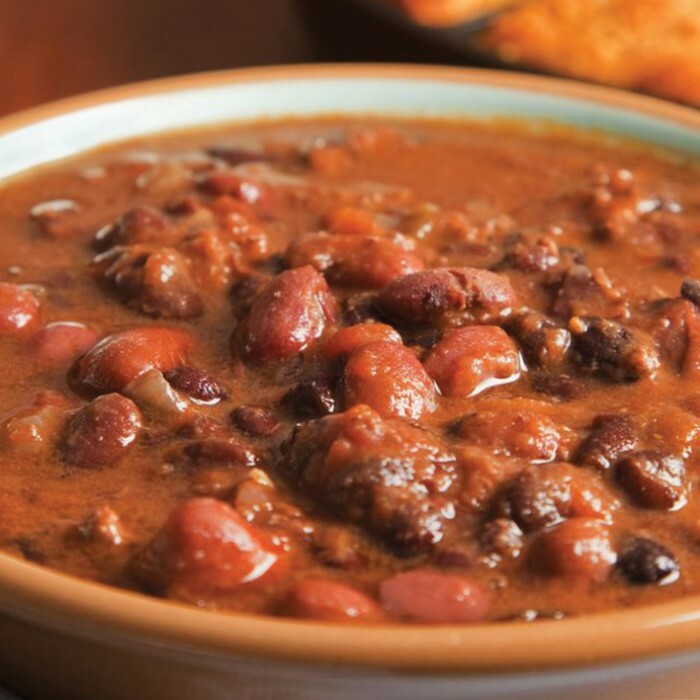 Whether you’re preparing for an emergency situation or simply want a quick and easy meal solution, look to this Five Minute Meal for a hot, delicious Beef Chili with Beans feast in as little as five to ten minutes. 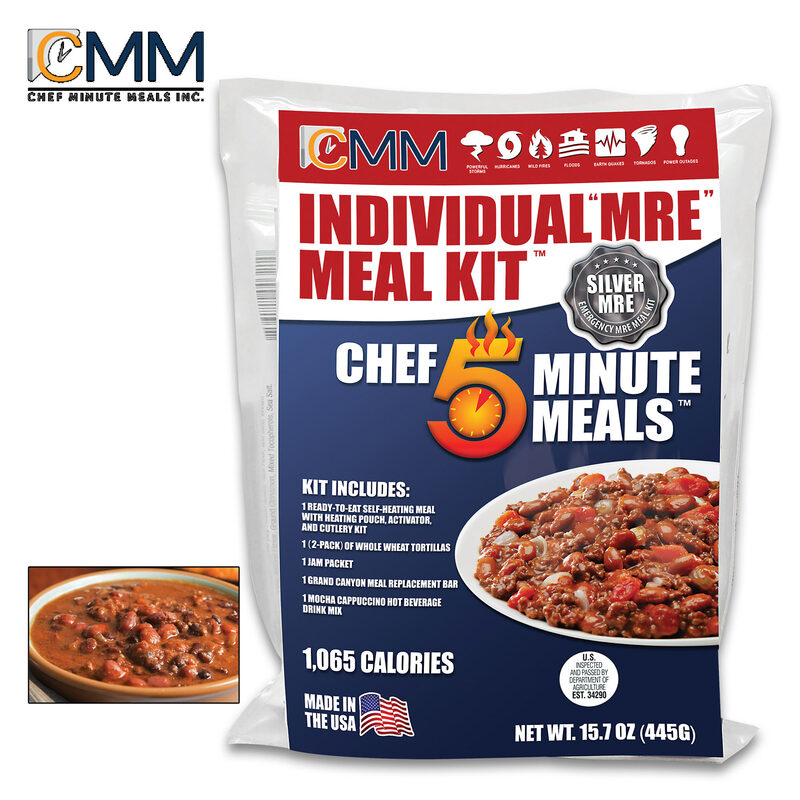 The self-heating, individual meal is ideal for life on the go offering all the comforts of homestyle cooking while enjoying the great outdoors, traveling, day-to-day use, or simply surviving the aftermath of a disaster. In addition to the entrée, the kit contains a two-pack of whole wheat tortillas, a grape jelly packet, a Grand Canyon meal replacement bar, instant granola cereal with latte and a mocha cappuccino hot beverage drink mix. It includes the heating pouch and activator, plus, a cutlery kit. Just heat-and-eat, anytime, anywhere!